Email marketing is a powerful marketing tool but only if you are doing it right. Unfortunately, many brands these days make email marketing mistakes which cost them opens and conversions. It isn’t rare that for some brands things have been going well until at some point some they report a rise of the unsubscriptions. Well, even if you thought you’ve figured out the email marketing game, circumstances are changing. At some point, you may not realize that you have started making email marketing mistakes, whether small or big. Today, we’ve prepared a list of 19 common email marketing mistakes that may negatively impact your opens and conversions. Let’s begin. As of May 2018, all companies operating in the EU as well as companies outside the EU which operate on the EU market, have to abide by a set of rules regarding collecting, storing and using data and personal information of users and clients. Find more information about GDPR. The proper preparation for what awaits you and your future email audience is the essential first step that you have to take. First things first, ask yourself a few vital questions before moving on. Can you really benefit from email marketing? How exactly will you engage your email list? What type of content can you create? Making a plan and deciding on the details of your email marketing strategy will help you clear up your vision, create focused content, and ultimately, reach your goals. Then, you need to prepare your email recipients for what to expect from you. This means they need to know, when subscribing, how often you will they receive emails from you and what type of content it is going to be. Here is an example by Moz Blog. Sure, you must have one general goal that you want to achieve via email marketing. But! With each email newsletter or email campaign you create, you must set a specific goal for this email campaign. What would you want your recipients to learn? What do you want them to do afterwards? Setting a specific goal for each specific campaign will boost your success significantly. Sending a general email campaign to your whole email list can sometimes be justified but doing it every time may lower your open and conversion rates. This is because people in your email list are different and they would love to have more personalized experience with your brand. After you’ve segmented your email list, don’t keep sending one general email newsletter to all. Send relevant content to the different groups of people you’ve created. For example, if you are selling clothes, create one campaign for men’s clothes to send to the male subscribers, and one for the women’s clothes to send to the female subscribers. 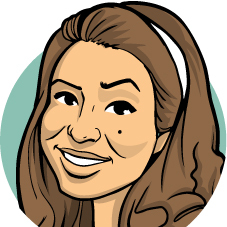 The examples are many but the idea is: You email becomes more relevant and personalized. As a result, the conversion rate will grow. Here is an example for sending relevant content by Shinola, a brand for men’s and women’s accessories. In this campaign, they promoted men’s new accessories which they sent to their male subscribers. Even if the person is interested in receiving content from you, flooding them with emails is absolutely a no-go. From our experience, some brands send an email each day, and others send even more frequently. In such cases, you will most likely receive an unsubscribe rather than a click. The subject line is a major factor when it comes to generating high open rates. Depending on how you’ve written the subject line, it will either catch the recipient’s attention or be completely ignored. Of course, you don’t want the latter to happen. Unfortunately, there isn’t a recipe that works for every brand. But there are a few rules that you can and should follow. Don’t mislead the viewer. This means all you say in the subject line should be true. Don’t say it all. Just provoke the curiosity of the recipient, so they are motivated to click and see your message. Put your keywords in the beginning. Since a lot of recipients will read their email on mobile devices, have in mind that the subject lines will be cropped. The preheader text is the text that is displayed right next to the subject line. Its purpose is to give more information about the email content and convince the user to click and see what’s inside. If you don’t fill out this field with valuable information, the email service provider will display the beginning of your email. And it won’t be very helpful sometimes, e.g. “View this email on the web”. When it comes to reading emails on mobile devices, it’s an absolute must that your email design is responsive. Either this or a mobile version of the email design will ensure that all your mobile readers will see it in the best possible way. If you are using a pre-made email template, you should most definitely brand it with your logo. If possible, you should even change the template’s colors to be consistent with your overall brand identity. A simple way to brand your email is to place your logo in the upper part of the email design. 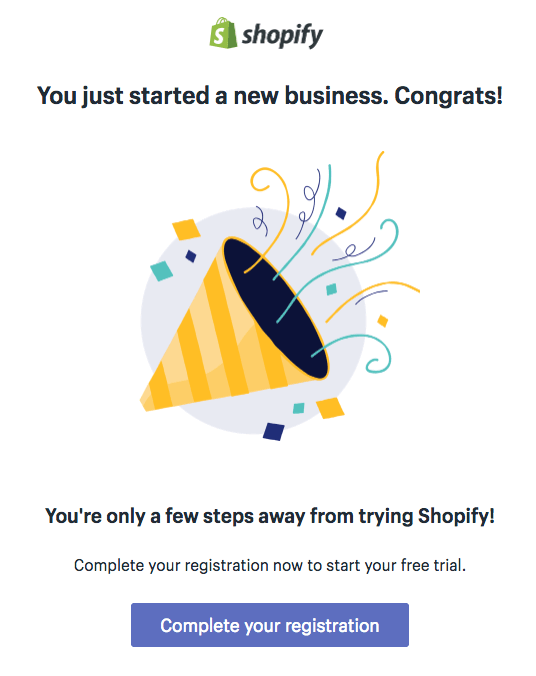 Here is an example by Shopify. Remember the goal we talked about? Without a goal, you might get you carried away in including all kind of information, relevant or irrelevant to your recipients. In result, they may prefer to close the email rather than click on anything inside. So, keep your email newsletter focused. Remember your goal and leave out everything that would distract the viewer. With every email design you send, you need to have a hierarchy that’s clear for the viewer. Headings, subheadings, and paragraphs help you establish a hierarchy. They also make your content scannable, so the recipient can sift out the information and read only the pieces that catch their interest. Here is a great example by Nokia of how to make your content scannable and lead the viewers’ eyes. When creating email marketing campaigns, marketers neglect the landing page very often. Well, this clearly is a mistake because after all, this is the destination you want the recipient to arrive to. Make the design of the landing page consistent with the email design. The landing page should feel like a natural extension to the email. This way, the person won’t feel like they’ve landed on the wrong page. For one reason or another, the email service provider may not display your images. Or the user might have turned them off. Either way, you should most certainly include alt tags for your images, especially if they are linked. Make the alt text meaningful, so a user can decide if they want to click, even if they are not seeing the image. Avoid pasting plain URLs in your content. Use anchor texts that are meaningful and feel like a natural part of the text. So, instead of using “Click here”, say “Browse our new collection” or “Learn more”, or “Download this freebie”, etc. 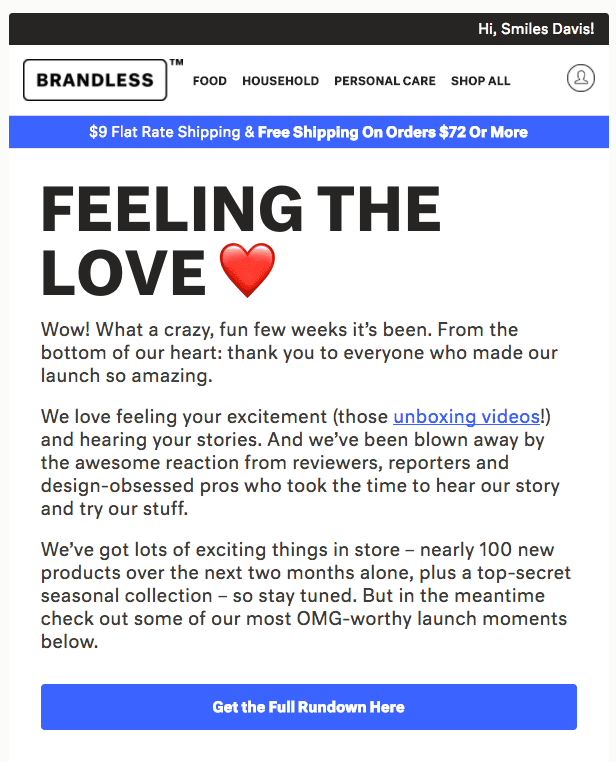 Here is an example by Brandless – the anchor text “unboxing videos”. Grab the attention with the headings’ copy. Increase the interest with the paragraphs’ copy. Inspire action with the buttons’ copy. 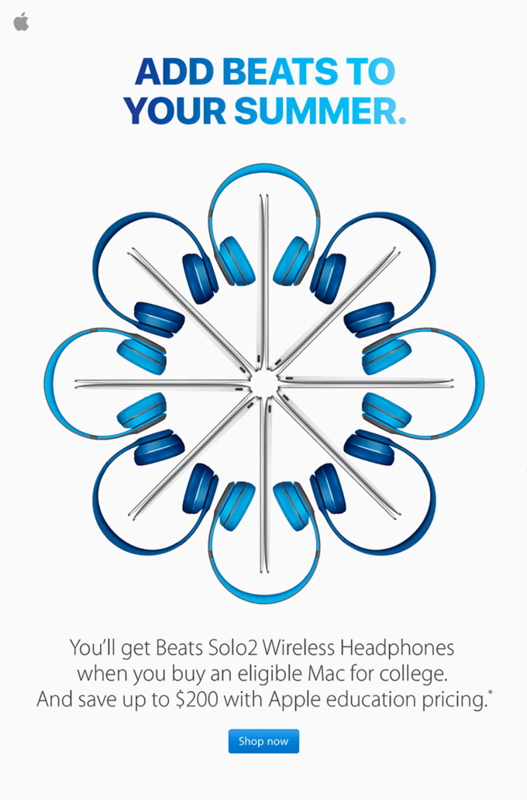 And here is a great example by Apple of how to implement these 3 steps into your email campaign. An Unsubscribe option that doesn’t require logging in. Social media buttons that make it easy for recipients to follow you on social media. Other disclaimers if necessary, e.g. when you are promoting a contest. Email marketing isn’t rocket science but it isn’t so easy to figure it out from the beginning, as well. It takes time to understand what kind of content appeals to your recipients the most. At what days of the week and what times of the day you generate the highest conversion and open rates. You will establish all of these factors by using A/B testing. Learn more about How A/B Testing Improves Your Email Marketing. Email marketing mistakes are common. Almost every brand has made at least a few of them in while learning and experimenting what works and what doesn’t. We hope we’ve been helpful with these 19 email marketing mistakes that you will most certainly want to avoid making in 2019. If you’ve encountered other email marketing mistakes throughout the years, we’ll be more than happy to hear about them in the comments below.